We have put together a selection of personalised treats for your special occaison. 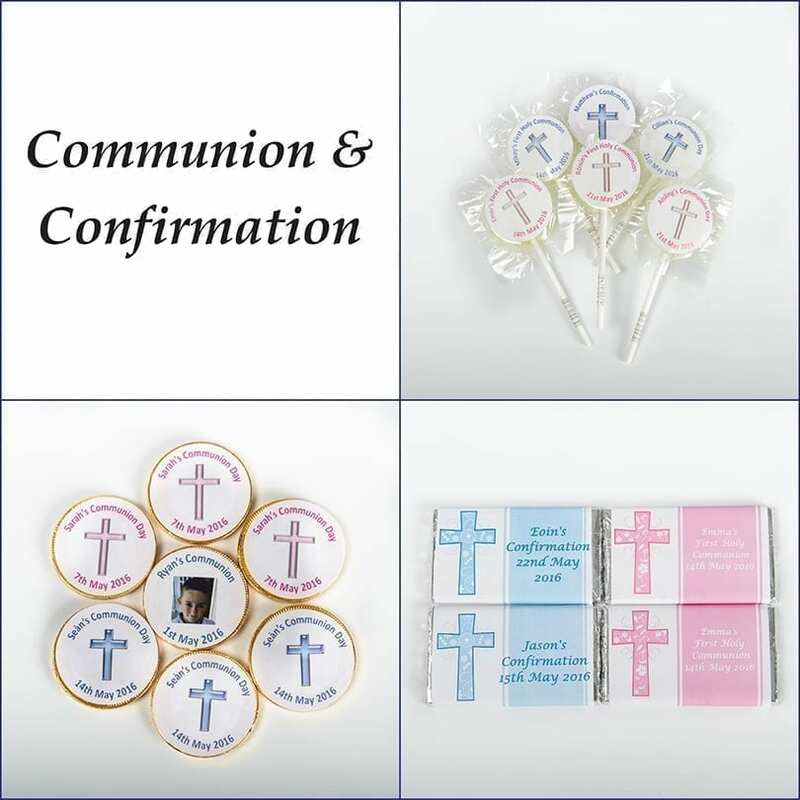 Each bundle contains the personalised chocolate bars (20g), personalised lollipops and personalised chocolate coins. 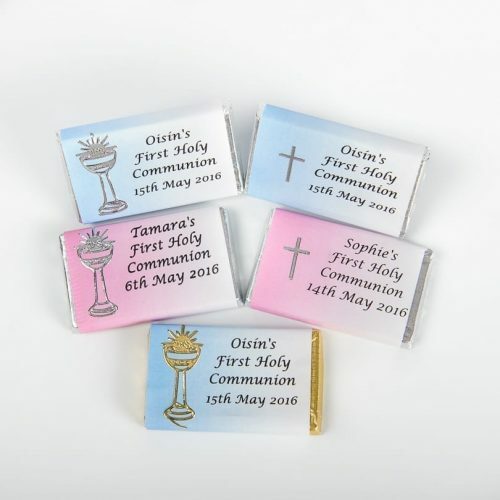 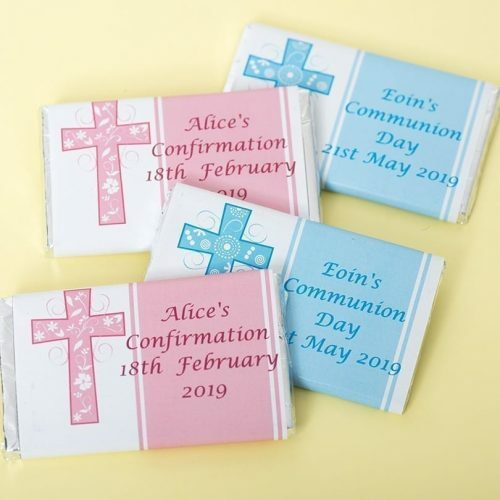 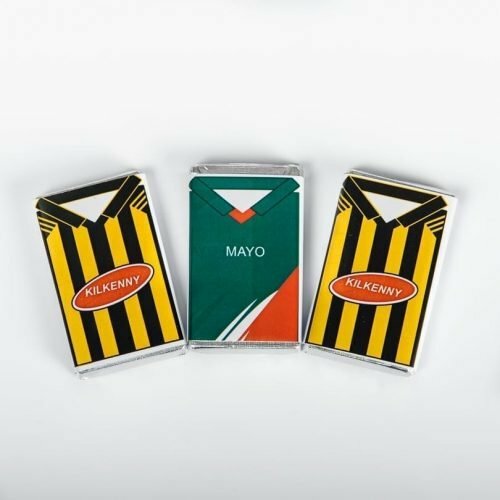 These make for a great party bag and a great memory of your special communion or confirmation day. 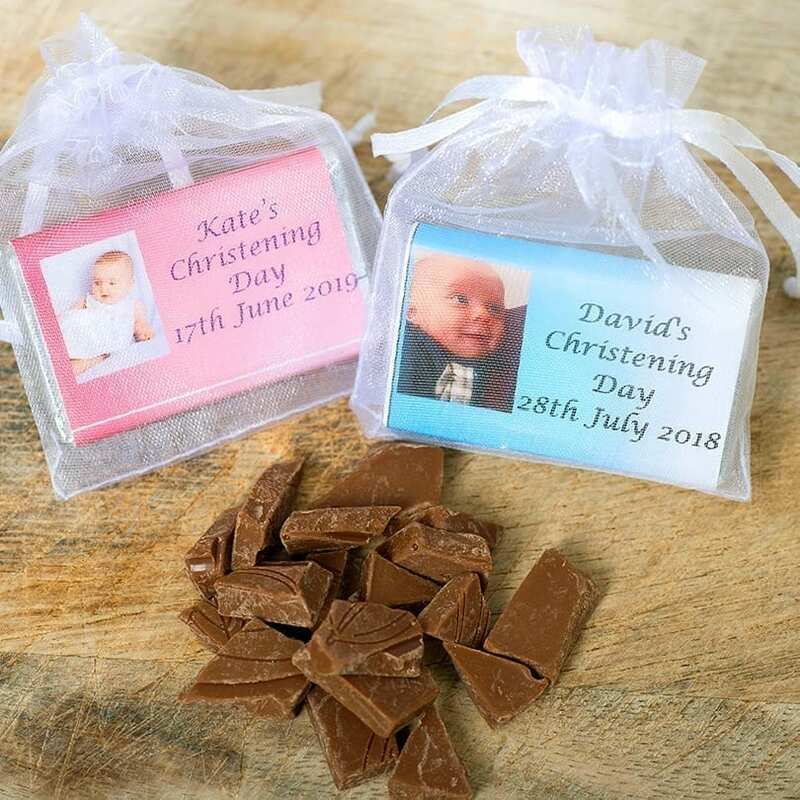 You can also add photo of the special person for that extra special touch.